School ended June 25, so Max and I promptly got out of town for our summer vacation. 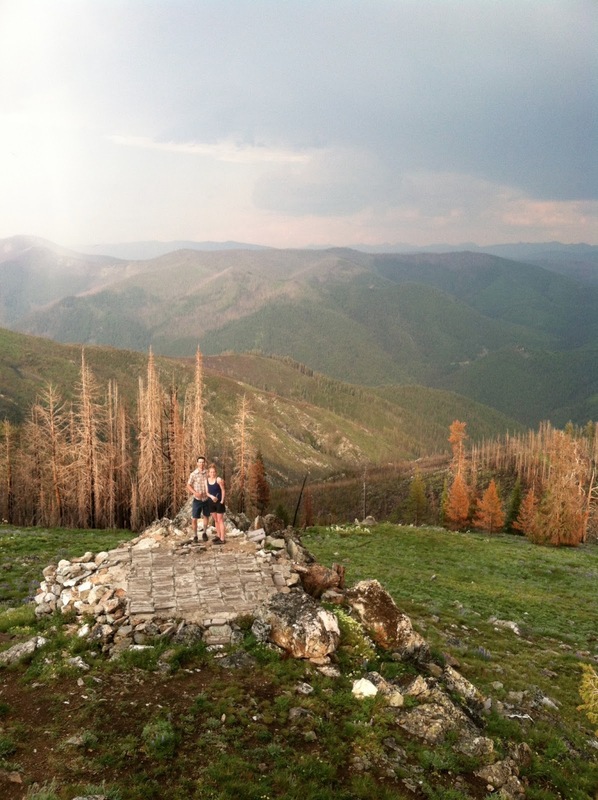 We headed west to Missoula, Montana where our nearest and dearest friends Jen and Buck moved this fall. We spent six relaxing days sight-seeing, hiking, ladder-golfing, biking, eating, and simply enjoying. Max nor I had been to Missoula before and we loved the long days that summer in Montana provided us. The sun didn't even start to go down until 9:30pm (I don't know when it came up. Hello, we were sleeping; it was vacation!). Montanans seemed to fill their full days plenty full of tubing down the Clark Fork River, being nice to people, and eating ice cream at the Big Dipper. 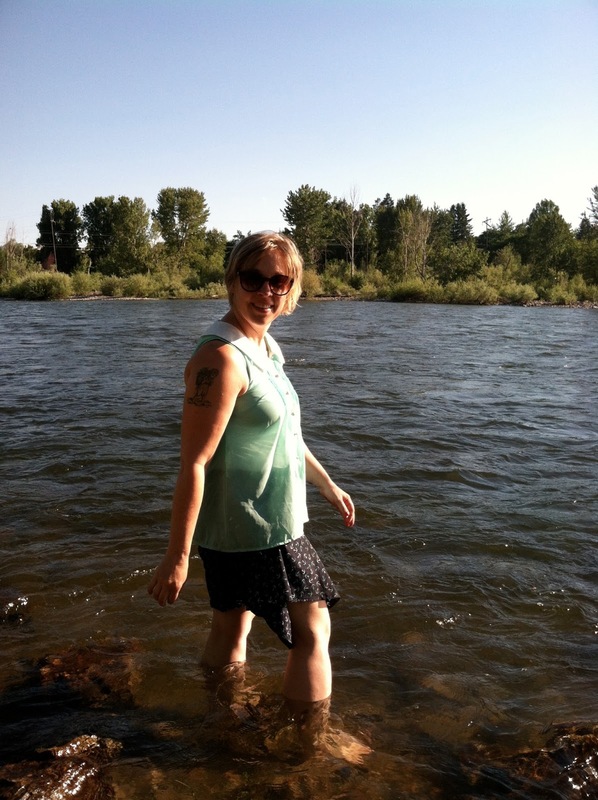 Here's me with my feet in the river. 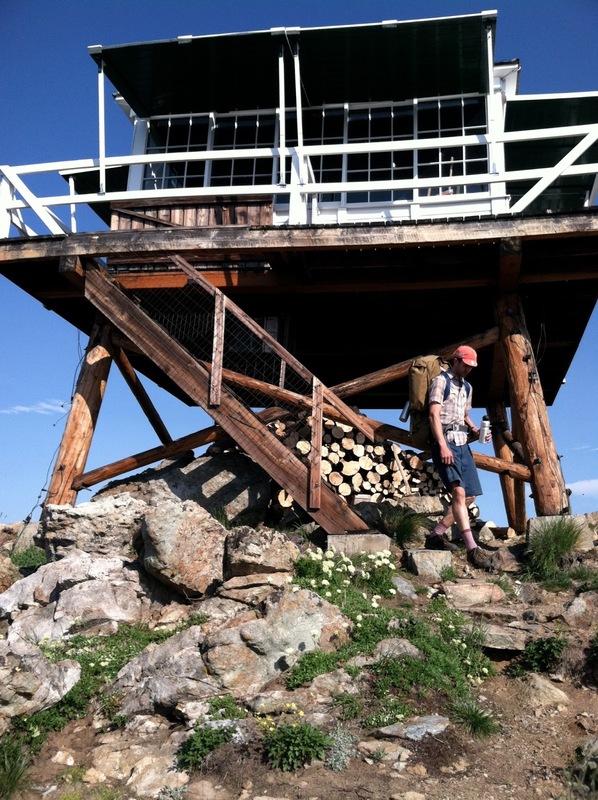 Jen and Buck organized a couple of day trips; the first of two was to a forest fire look out tower at Gerd Point (yes, Jill, gerd). 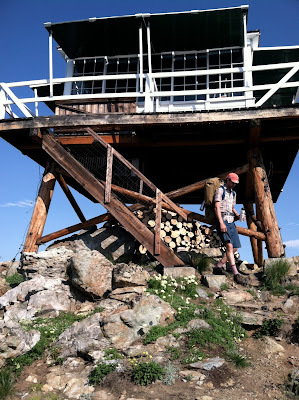 We drove a crazy 14.4 mile windy side of the mountain road and hiked about .5 miles to arrive at our lookout tower, formerly used to spot potential forest fires. 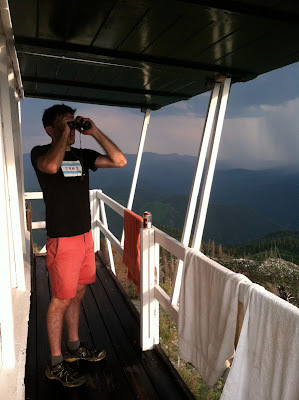 I could write a bunch about our lookout tower, but I think our pictures can better do the talking. 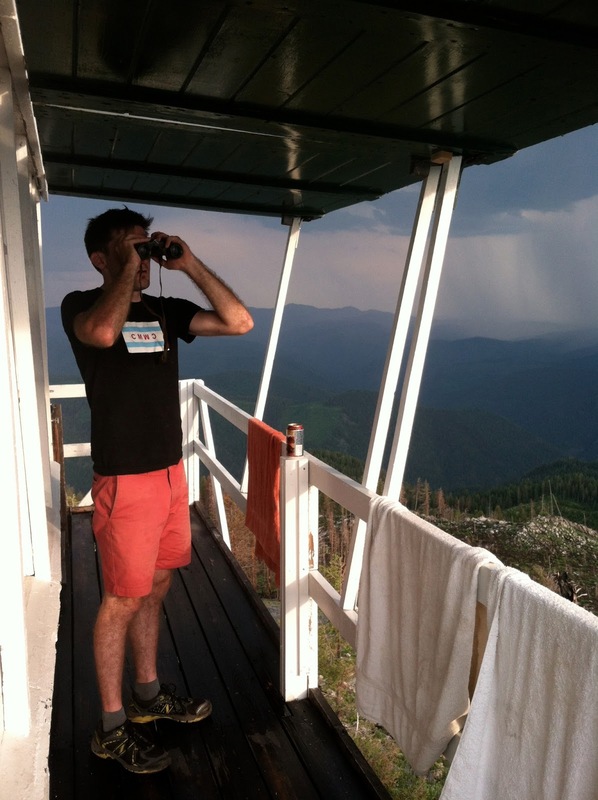 Buck at the lookout tower. He's probably going to go look for a grouse. Jen and Max scoop out scene. The beautiful white flowers called Bear grass - they were everywhere. 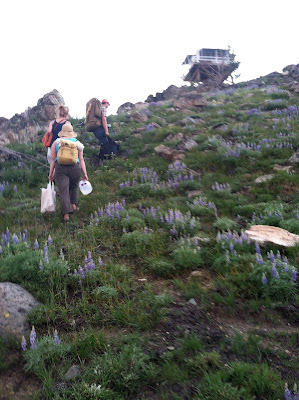 View from the lookout tower - who are those hot babes?! 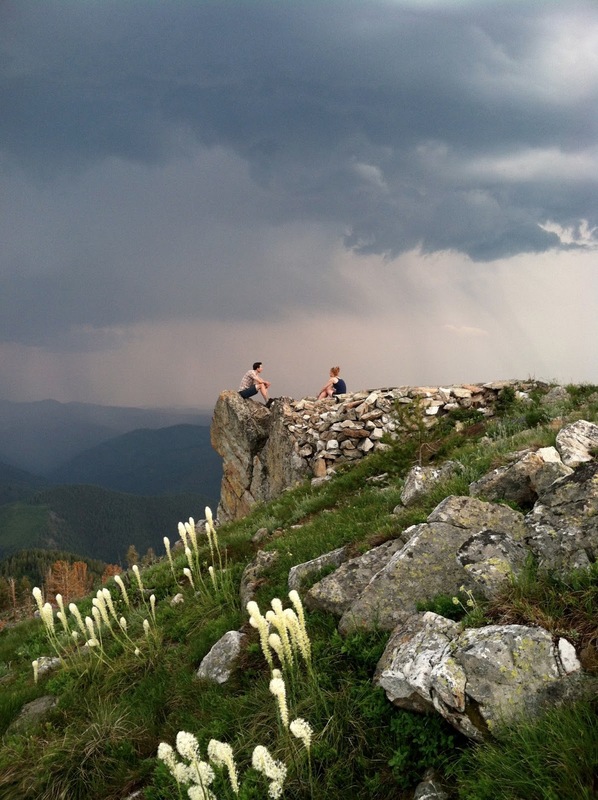 After our evening on top of Gerd point we headed back to Missoula for some chilling and grilled pizzas. 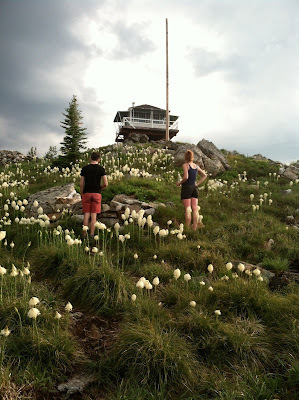 The next day, July 4, we took off for Glacier National Park! I can't think of a better way to celebrate America's birth than a visit to a national park - one of our government's true successes. 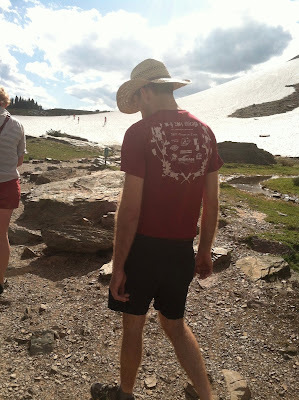 We drove on the Road to the Sun to Logan Pass and hiked the Hidden Lake Trail. The trail was about 3/4 snow covered. 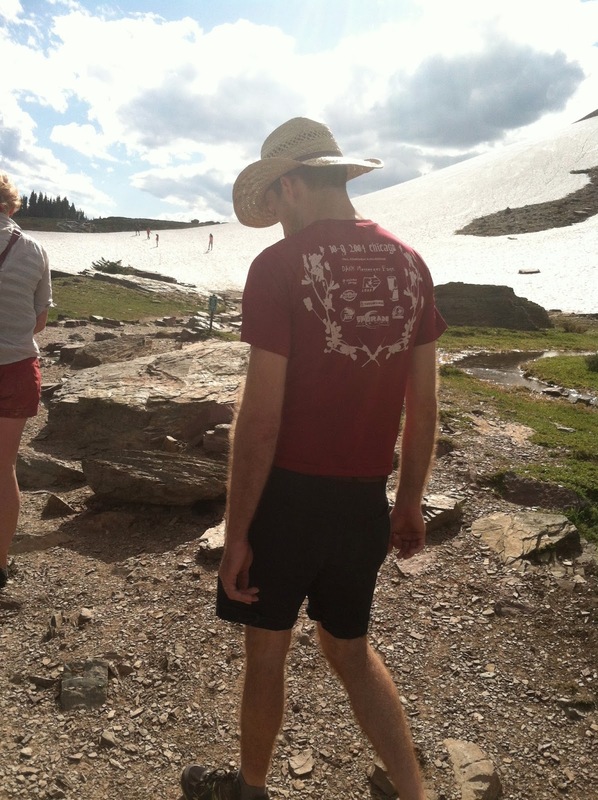 So on this 90+ degree day, we scaled the snowy hills in t-shirts and tank tops. Max hikes in the rare portions of the trail that were not snow covered. The namesake of the trail: Hidden Lake. Breath-taking. Slowly diminishing glaciers are behind on the mountains. Wildlife was fairly abundant in Glacier. 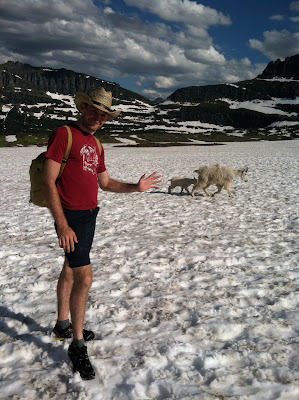 The mama mountain goats and their kids were seemingly unafraid. 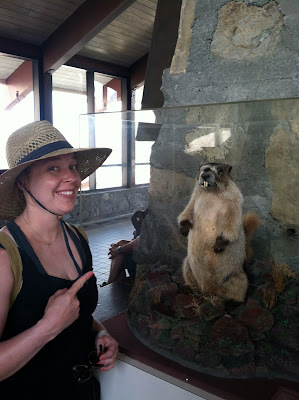 We also saw these marmots who are said to spend their summers eating and sunbathing. This is the life I want to start leading. 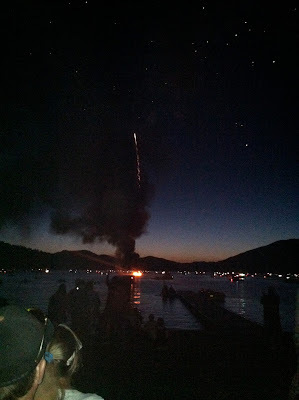 That evening we watched a rousing fireworks show on Whitehead Lake in Whitefish, Montana. Residents were out on the lake on their boats to get a good view of the fireworks. 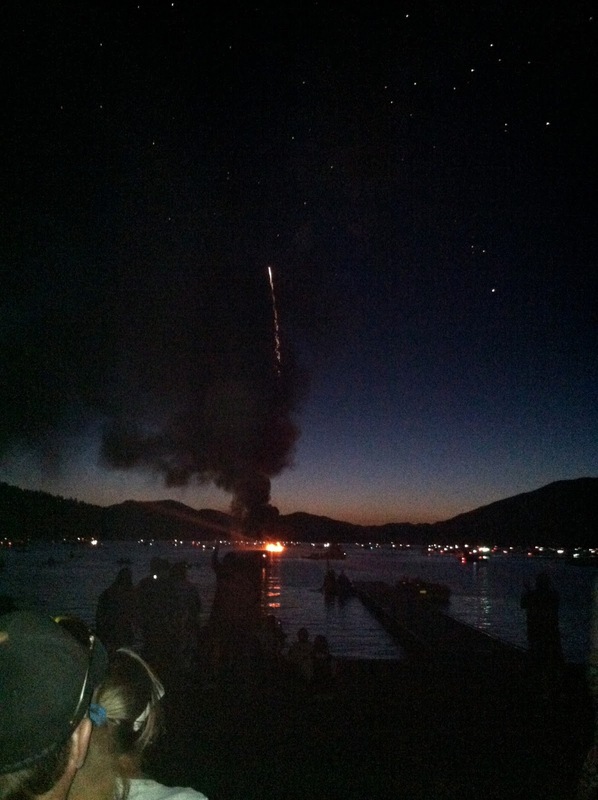 Of course the boats started distancing themselves from the barge with the fireworks when it started on fire! The fire department was kind enough to let the fireworks finish before they put out the fire. All of this vacation beauty was surrounded by the true beauty of seeing our dear friends Jennifer and Buck. Time apart and distance doesn't seem to hinder our conversation or friendship and when we are together it's like we'd never been apart. Here they are surrounded by the beauty that is their new home. We miss you both so much. Thank you for a beautiful and memorable trip. Wowee, your pictures turned out great! Thanks for documenting the trip, we will forever treasure these pictures of the treasure state;) It was so fun having you guys out here and getting to share these adventures with you! You made Montana feel like home! Battle for the Blue Ribbon: Who's the winner? Battle for the Blue Ribbon!